Illustrated art print of Ealing’s Pitshanger Lane created exclusively by Charlotte Berridge. 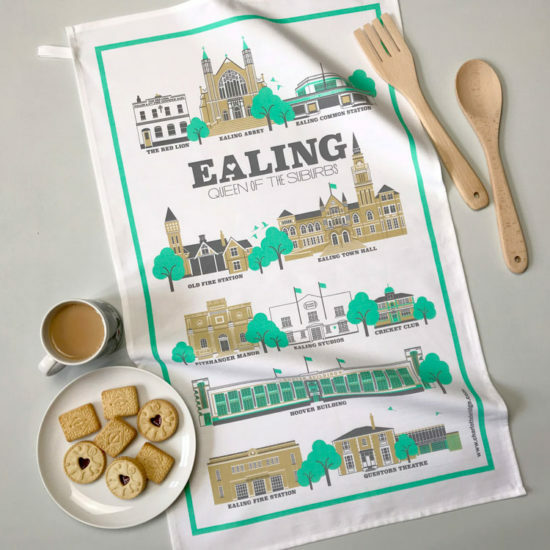 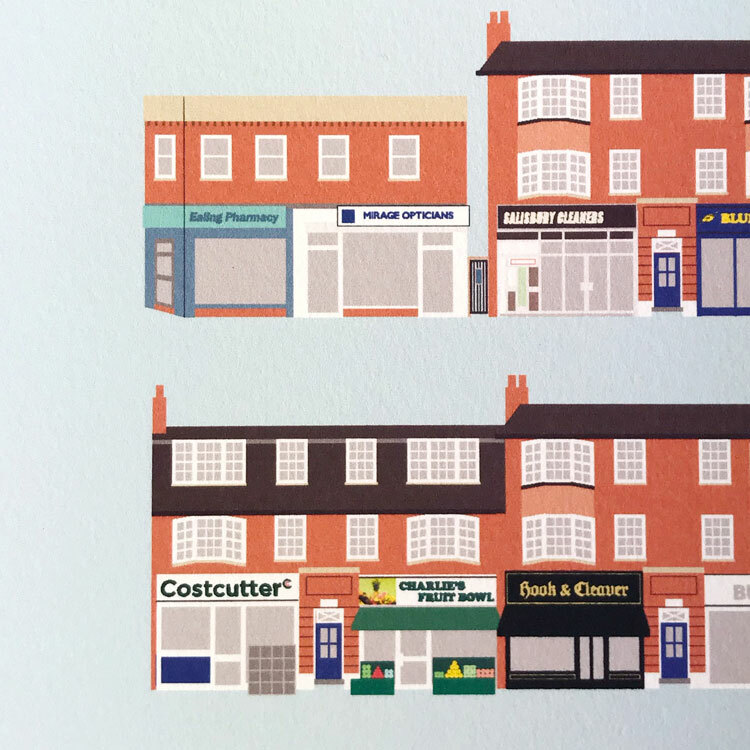 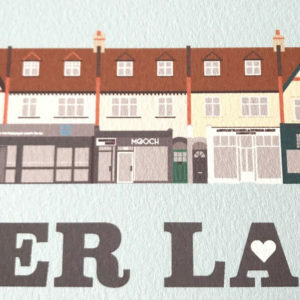 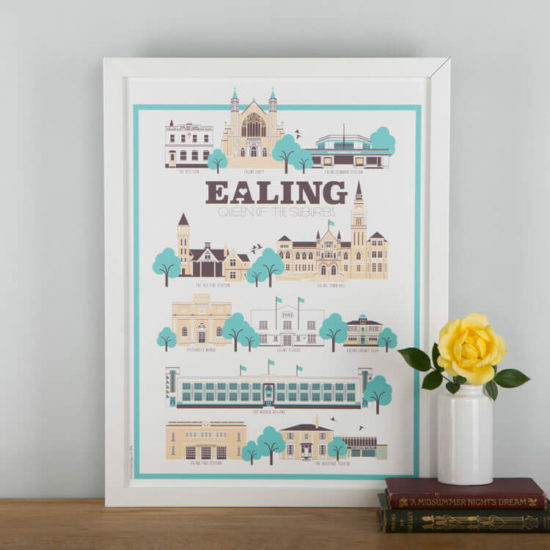 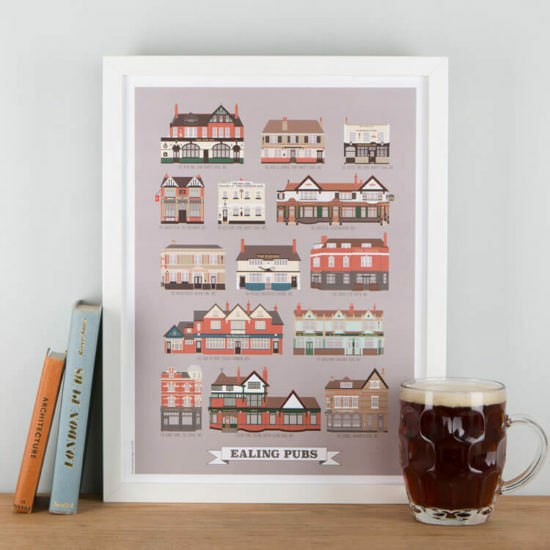 This local print makes the perfect gift for anyone who knows, loves, or lives in Ealing. 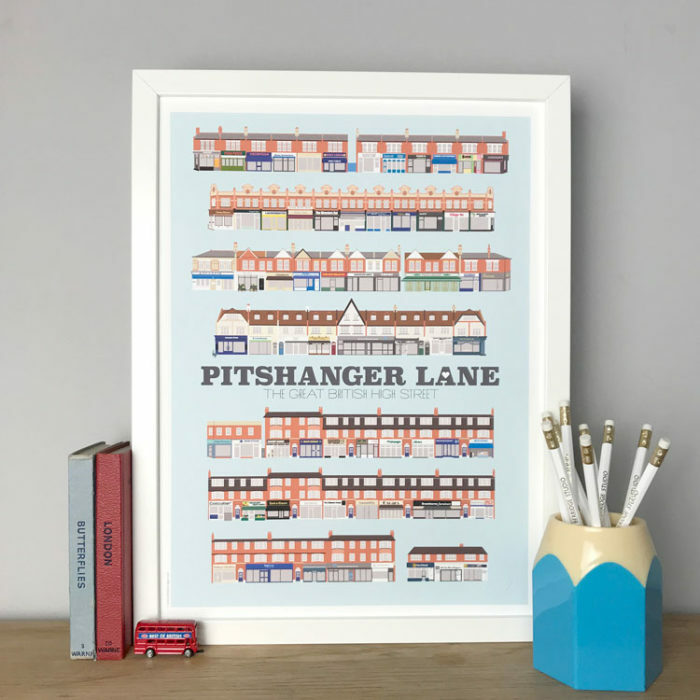 Pitshanger Lane won the prestigious title of Great British High Street (London category 2015) and it’s an absolute gem! 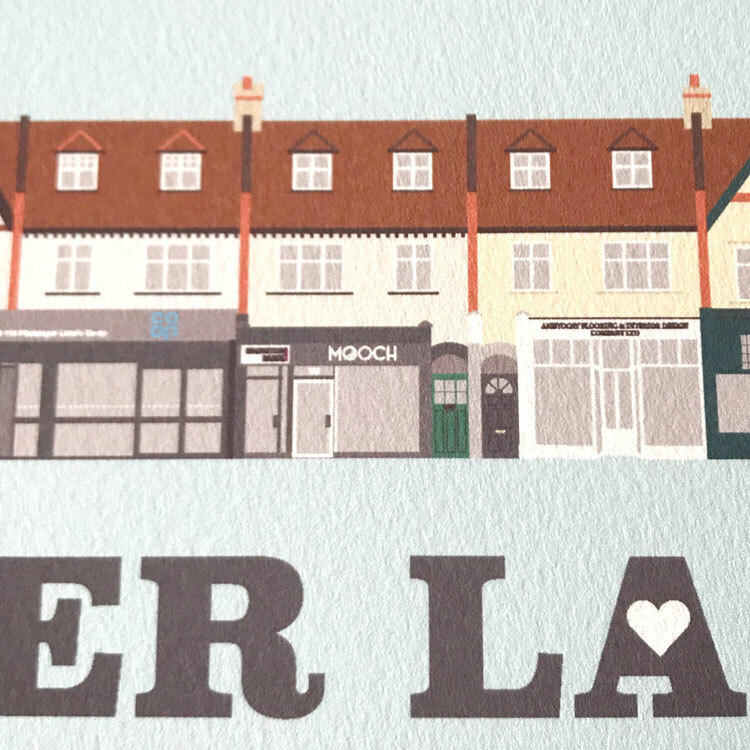 We’re all very proud of shopping local round here! 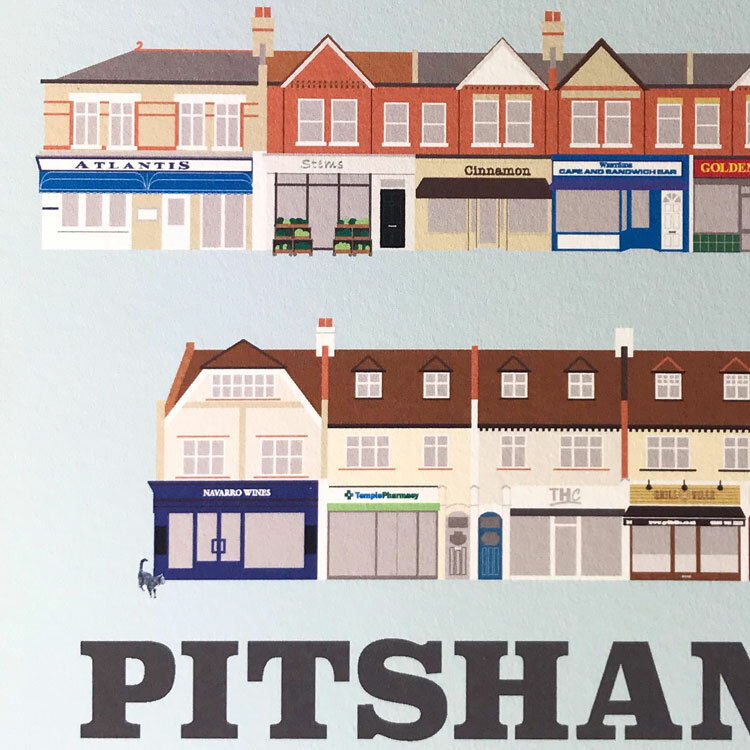 Every single shop on Pitshanger Lane on 1st December 2018 including the new Stems florist location and a tiny guest appearance from one of the celebrity cats which is often seen visiting the area. 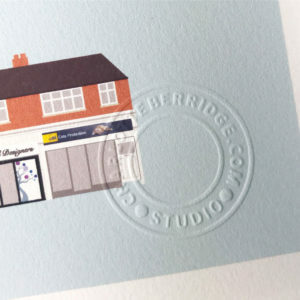 This print also features Mooch , the independent gift shop, where this print is available to buy. 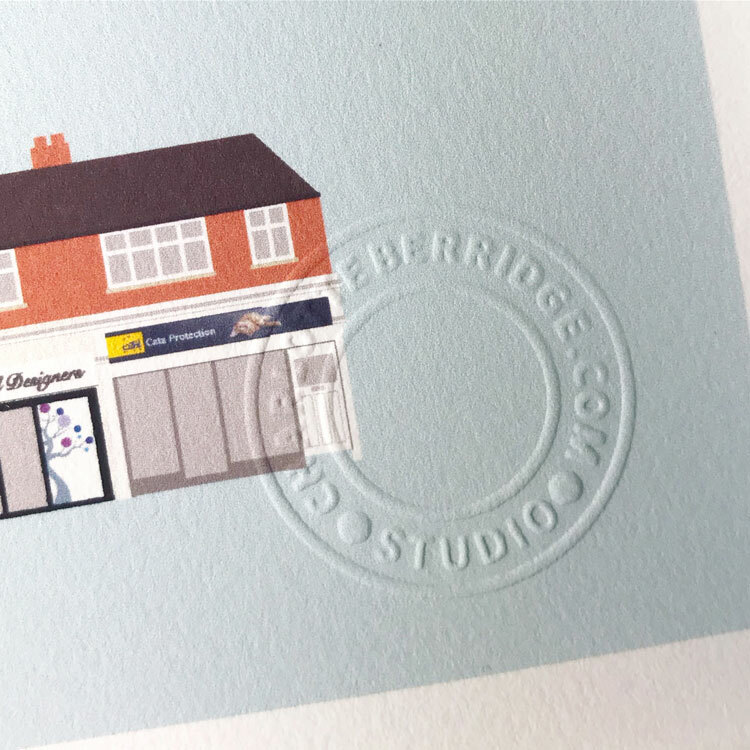 The top of the print shows the north side and the bottom the south side of the Lane.